Having children … the overwhelming role of parenthood. I must attempt to teach them everything I know, remembering example means so much more than words. Will I live the life of example? Will I be the person who reaches out to others and not the taker? Will I show them enough of myself and enough of the world to open their minds and broaden their horizons? Oh, the irony of a mother’s worries. 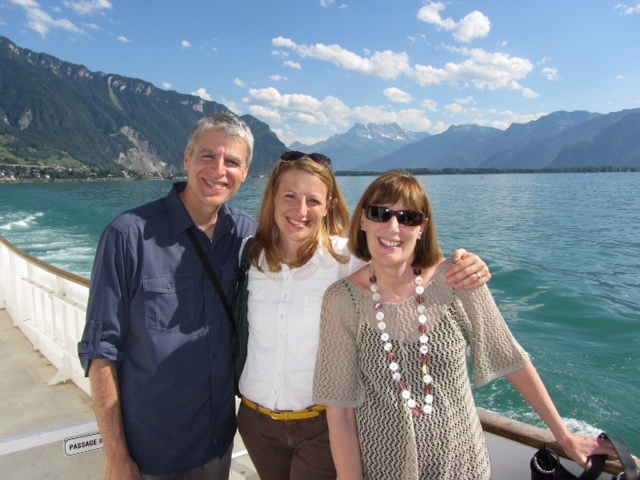 I am on a long flight home from Europe – returning from a two-week visit with our daughter and her family – reflecting, laughing and crying. My children are no longer children. Did I teach them all I knew? Not as much as they’ve taught me. Have I been the model of the giver? Not the givers they have been. Have I shown them enough of the world? Not compared to the world they have shown me. Have I broadened their horizons and opened their minds? Not compared to the horizons they have opened to me. My husband and I met in a small-town Iowa elementary school. I was the “new girl” in first grade. We went on our first date to senior prom. We fell in love when we were seniors in college, married the year after graduation and with little maturity and even less money started our family. I have often said that it was good luck and the grace of God to find that when reality set in I was married to a responsible, faithful and giving man. One I’ve grown to love more as each year has flown by and one with whom I could build a healthy and happy family. We’ve had the typical ups and downs of marriage, the exhaustion of raising young children, the trials of raising teen-agers, the tragedy of losing parents, the seemingly impossible task of letting go and allowing our three daughters the freedom to find their own partners and their own places in the world. When did the tables turn? 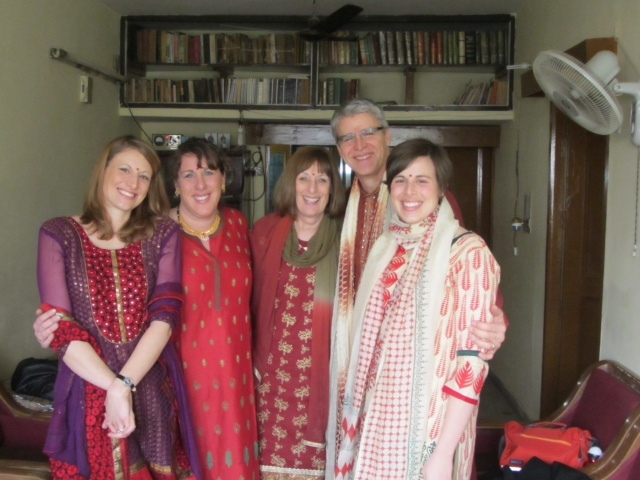 Our youngest has helped us experience the heart-rendering but exquisite beauty of India. Our middle daughter has introduced us to the magnificence of the Rocky Mountains and shown us that the healthy lifestyle of the “Boulderites” deserves consideration. 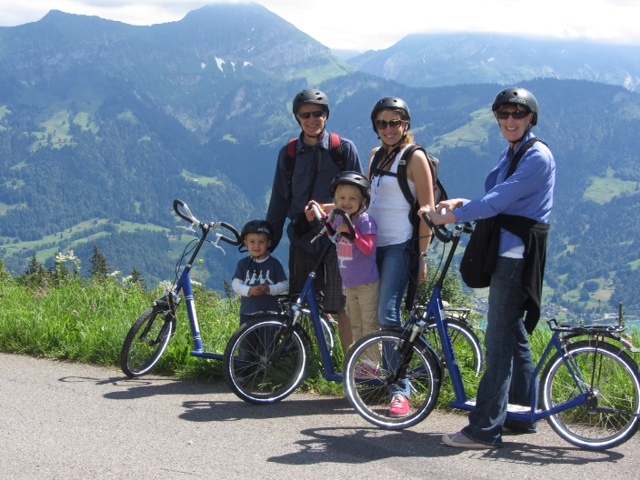 And our firstborn, who not only has given us the indescribable joy of grandchildren, has also exposed us to the experience of the Swiss lifestyle, including views from mountain vistas that are amazingly more beautiful than the eye can comprehend. Riding scooters in the Alps. Really…could it get any better than this? Would our road really have been the one less traveled if not for our three brave, beautiful, intelligent and wonderful daughters and the men they have chosen to spend their lives with? Most assuredly not. That wonderful man I have been married to for 37 years looks my way in this filled-to-capacity airliner and is surprised to find me overwhelmed with emotion. He asks what in the world I am crying about and hands me a Kleenex to wipe away my tears of gratitude, surprise and confusion about who is parenting whom and suggests that drinking two of those little bottles of wine from the Swiss Air drink cart might be too much for me. He may very well be right, but I will doze off on my travel pillow knowing I am a different and better person than I was a few short years ago and being very thankful for the people and places that have made it so. This entry was posted in Switzerland and tagged Mary Head, Switzerland by Mimi Johnson. Bookmark the permalink.